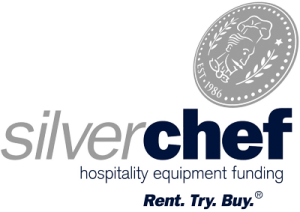 HC Group is proud to offer clients a simple and affordable financing service through our partnership with Silver Chef Equipment Funding. Their Rent-Try-Buy program offers you a flexible twelve-month contract with low weekly repayments that allows you to try equipment before you commit to it. HC Group and Silver Chef work together to ensure that you can free up valuable capital while starting or redesigning your business. You’ll also have the peace of mind that comes from knowing that you’re benefiting from a flexible and generous repayment schedule. Purchase equipment at any time during the first 12 months and receive a 75% rental rebate. Return equipment at the end of the 12-month agreement if it is no longer required. Rental RebatePurchase equipment during the first 12 months and receive a 75% rental rebate. Easy ReturnsReturn equipment at the end of the 12-month agreement if it is no longer required. Reduced Purchase PriceContinue to rent – and we’ll simply continue to reduce your purchase price. On the Silverchef’s Master Agreement you are free to add additional equipment anytime, up to your approval limit. There’s no need to pay any extra documentation fees or fill out a new agreement. A refundable security bond of an amount equal to 13 weeks is required with the signed agreement. A Document Fee of $235 will also apply. Total asset value on each contract must be a minimum of $1500. The chance to free up your valuable working capital. The ability to try before you buy. Peace of mind from knowing you’re not stuck with equipment that isn’t perfect for your needs. The ability to add further equipment as your business grows. A 12 month agreement – don’t get locked into a long term lease. No directors’ guarantees, so you don’t have to put your house on the line! Renting is off ‘balance sheet’, meaning it doesn’t affect your capacity to borrow for future expansion. Furthermore our application process is simple and obligation free. If you’ve made the smart decision not to tie up capital in Catering Equipment, you now must weigh the option of renting against the more common financing option: leasing. While leasing may look like a good idea at first glance, you need to take into account the full impact leasing Kitchen Equipment will have on your business. A lease is a balance sheet item – which reduces your equity, your ability to borrow and, accordingly, your availability of working capital. Rent is an ‘off-balance’ sheet item (like salaries or electricity). This means that rental contracts have no impact on your equity, or on your ability to borrow. A lease requires a lot of paperwork and binds you into a four year contract. This contract makes it difficult to trade or sell your equipment when it comes time to upgrade your kitchen. A Silver Chef Rent-Try-Buy® agreement involves minimal paperwork, meaning you can get the equipment you need immediately – and enjoy the flexibility to upgrade whenever it suits. To learn more about how our equipment rental option can improve your availability of working capital contact us today!